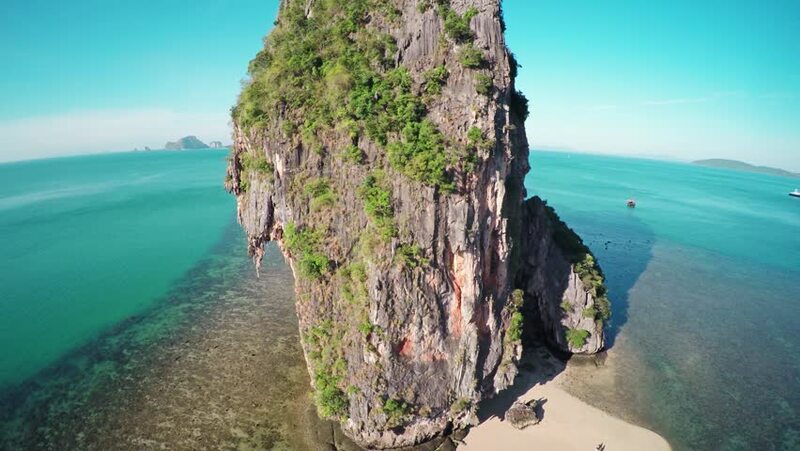 hd00:07Beautiful view to the ocean and small cliff island from Poda island, Thailand, Krabi. 4k00:22UltraHD video - Massive formations of crumbling limestone. with trees and shrubs clinging to their upper surfaces. towering over a beautiful. tropical beach.